The 2018 MVCTC Prom Court is back row, left to right, Noah Rohling, Keir Wambo, Ben Lawson, Peyton Philips, Daiton Vinson-Sharp, Logan Hayes; front row, left to right, Chantel Banks, Shelby Perkins, Guadalupe Arrona, Christina Johnson, Keara Tellis, and Morelia Balli. 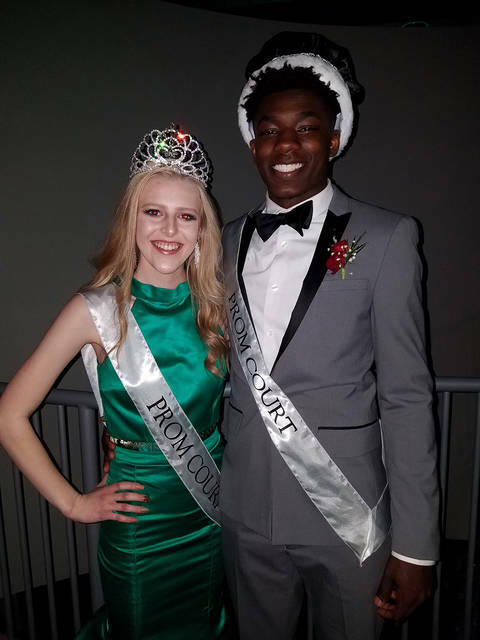 MVCTC 2018 Prom King and Queen were announced on Saturday, April 7, at the MVCTC Prom, “An Enchanted Evening.” Shelby Perkins, Graphic Art student from Valley View was crowned queen and Daiton Vinson-Sharp, Criminal Justice student from Vandalia was crowned king. ENGLEWOOD — The Miami Valley Career Technology Center (MVCTC) 2018 Prom, “An Enchanted Evening” was Saturday, April 7, 2018. 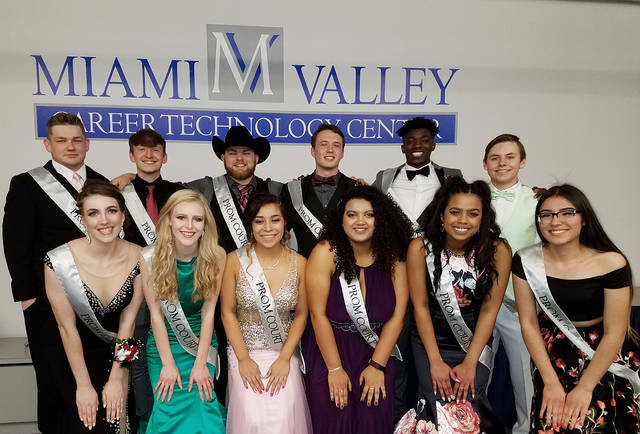 The MVCTC Prom Court included a male and female candidate nominated by each of the MVCTC Career Technical Student Organizations (CTSO). SkillsUSA Chapter 4 Candidate Noah Rohling, Electrical Trades student from Northmont.